Gary L. Fretwell, vice president for the Noel-Levitz consulting firm, spoke Tuesday to a group of SHSU administrators on enrollment management. Fretwell made a number of points concerning enrollment management--a key one being that it is the job of everyone on campus to attract and keep the right kinds and numbers of students. Heather Thielemann, vice president for enrollment management, said that a presentation by Fretwell will be taped for a campus-wide showing at dates to be announced, probably in the spring. 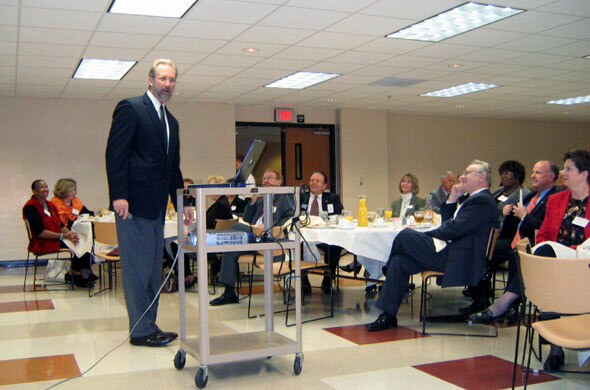 The presentation was the second in the President's Breakfast Series.